Like changing the felt on a billiards table, assembling a pool table is commonly thought of as work best left to professionals. While a professional may have more experience putting together and leveling tables, the average DIYer can put together a pull table with a little know how. Assembling a pool table is not difficult and the average person should be able to complete the assembly within 2-4 hours time from start to finish. The first step to assembling the billiards table is determining its position in the room, as the table cannot be shifted once it’s assembled. While how much space you need around the table depends on its size and the length of the cue you use, five feet of space on all sides should provide the minimum amount of room for players to position and shoot. 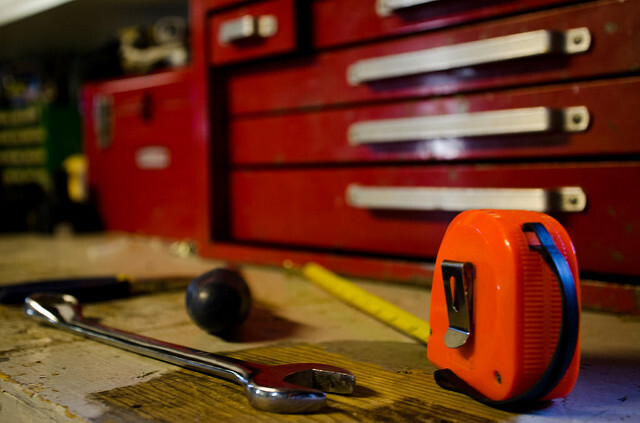 Have each of your tools in a designated location so you don’t have to look for something while you’re assembling the table. Begin by removing all parts from the pool table packaging, including larger hardware like the cabinet and legs, and smaller pieces like nuts and bolts. Refer to the owner’s manual to ensure you have all the pieces, and contact the manufacturer if you’re missing any. 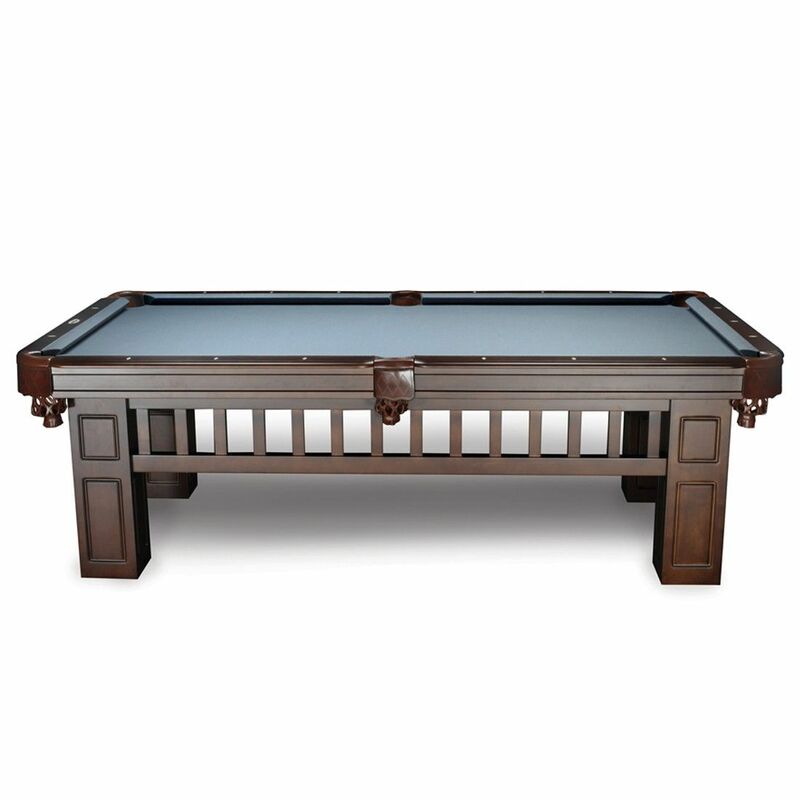 The Larkspur 8-foot billiard table from Imperial is crafted from solid wood and finished in beautiful antique walnut. Mark the location of the pool table, and place the cabinet upside-down on the spot it should be in. While some frames are pre-assembled, there’s a chance you might need to put it together yourself. Attach the side panels, end panels, or any other framework according to the manufacturer’s instructions if necessary. Tighten all the nuts with a socket wrench, and check to see if any leg-mounting brackets are necessary in the corners of the table. Ensure that a leg support is securely attached to the corners of the table. After doing so, attach each leg one at a time, and check to see if the legs wobble or move when touched. If not, turn the cabinet right side up and recheck the position of the table to confirm that it’s in the right place. After the frame and legs are secured, you’re ready to place the slates on the table. Using a measuring tape, locate the center of the table, and place the center tile there. Measure the open spaces next to the center tile to make sure they’re even, and put the other two slates into place (this is for a 3 piece slate table; steps may vary for 1 piece slate). The frame of the pool table should be completely filled. Use a leveler to check that the slates are evenly leveled. You may insert shims underneath the tiles to raise or lower them, according to the leveler. Once the table is completely level, screw the slates in, and use a propane torch to melt beeswax into the spaces between the tiles. *Allow the beeswax to dry overnight before removing the excess with a paint scraper. Now that the pool table bed has been prepared, the billiard cloth can be laid out on top. Cut holes in the slate panels for the bolts, and align the pockets and rails on the table. Once this has been done, all the screws and washers must be tightened until they are firmly secure. Finally, staple or screw pockets to the underside of the table, depending on its particular style. After all your hard work and patience, you’re ready to start playing on your pool table! Check one more time that the table is level, and you’ll be ready to start playing. Putting together a pool table does a few hours, but successfully assembling something for your game room will help you enjoy it even more. For more tips on maintaining your table or playing pool, visit GameTablesOnline.com for pool table accessories, tables, and cues. Pool Tables: Carpet or Hardwood Floors?